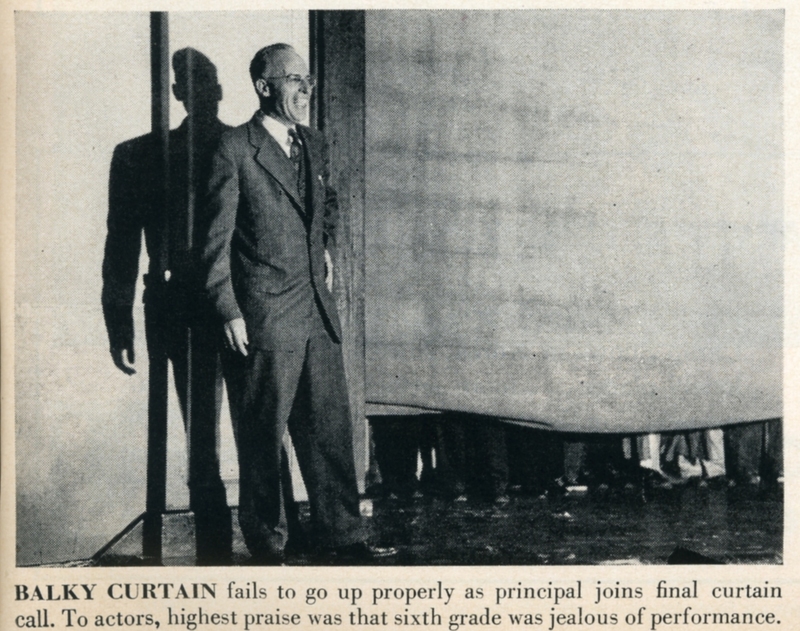 On May 1 and 2 1952, LIFE magazine came to Dedham to report on a play presented by Mrs. Elizabeth Gurley and her fifth grade class at the Avery School. According to the Transcript, photographer Robert Mottar took over 1000 photographs of the performance of “The Terror of New England,” a historical drama written by Mrs. Gurley’s husband Franklin. 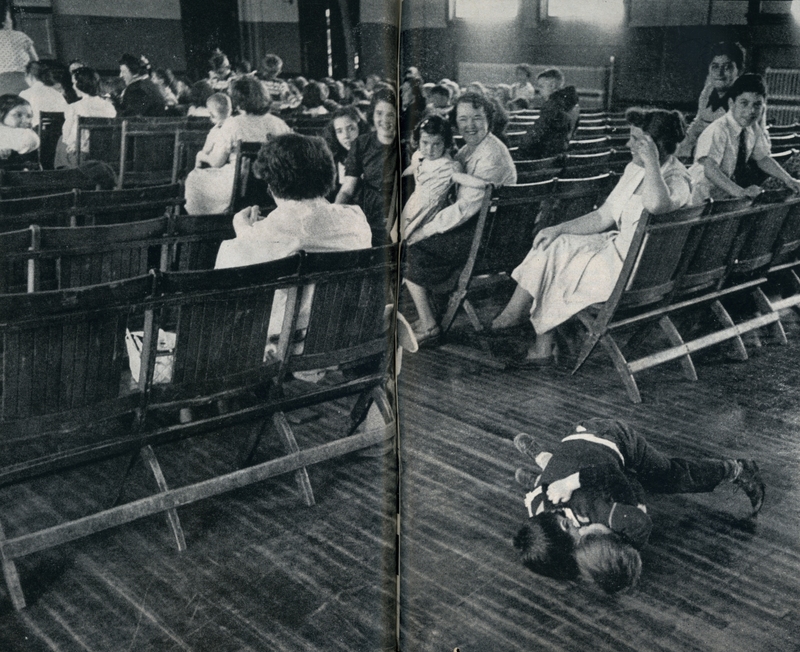 The caption reads: Scuffling spectators, younger brothers of actors, roll on floor during dress rehearsal, which was attended by mothers who could not get to the show. The play might be considered a little politically incorrect by today’s standards, and the article seems condescending; focusing on the mishaps and backstage antics of second grader Phillip Wisowaty, who was on “loan” for the production. Other students pictured in the article were: Billy McElhinny, Larry Bolestra, Eleanor Schoener, and the daughter of Mrs. Theodore Wiskont. One interesting fact mentioned is that some of the costumes were leftover from a movie that had been filmed in town. This undoubtedly refers to the Dedham Tercentenary movie filmed to commemorate the town’s 300th birthday in 1936. These fifth graders would now be close to 70 years old. Perhaps you know one or two if them and could ask them to give you their story of their brush with fame. Go to Google books to see the entire article. This entry was posted on April 6, 2011 at 8:32 pm and is filed under History/Mystery. You can subscribe via RSS 2.0 feed to this post's comments. You can comment below, or link to this permanent URL from your own site. My son used to attend the Avery – great article! Larry Bolestra Was the janitor at the Dedham Quincy school when I went there in the 70’s. Billy McElhinny is related to my wife….small world.